I decided to let the ego run wild this week. 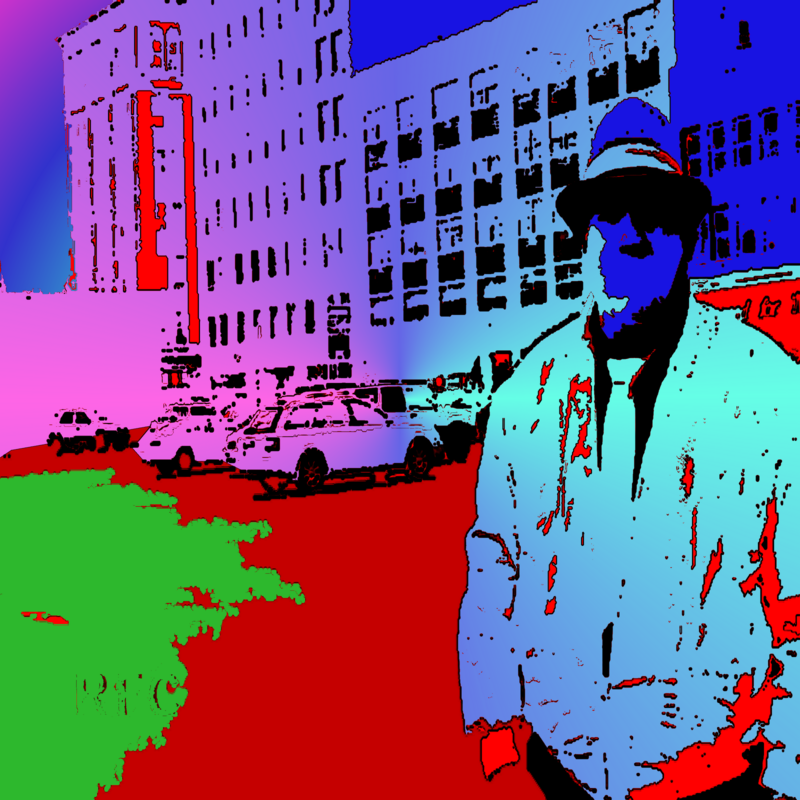 Our Monday Morning Art is a digitally-assaulted frame grab from episode fifteen of Radio Free Charleston, with me standing in front of a line of buildings on Quarrier Street. I played with the contrast and colors, and now it looks like the cover to my long-lost New Wave solo album that never happened. As always, click the photo for a larger view. And go here for the Monday Morning Art Store, and here for the PopCult store. Yes, I’m selling crap with my own picture on it. Sorta sad, eh?